Sony devices are popular for their premium built quality and hardware. But similar to other Custom skin manufacturers, Sony fails to deliver timely updates to its devices whether its of 500$ or 200$. As Sony doesn’t even bother about providing updates to its Flagship smartphones, at the end of the day we root our device & look for the most updated ROM. If you are still waiting for updates as you are afraid to root your device, you can One click Root, to Root any Android device in single click. Sony Xperia Z currently runs on Android Lollipop 5.1.1 which isn’t bad at all, but some people love to experience latest OS as soon as they are out. Although the Cyanogenmod 13 build, might have few minor bugs but still who cares if you can enjoy Android Marshmallow 6.0.1 in your Xperia Z? Lets checkout the step by step procedure to Install CyanogenMod 13 (CM13) Android Marshmallow (M) in Sony Xperia Z. Well, actually, you don’t have to wait for anything as the CM13 ROM mentioned above is already available. Yes, thanks to those of xda-developers (Olivier in particular) you can now Install Android Marshmallow 6.0.1 in Sony Xperia Z through Cyanogenmod 13. 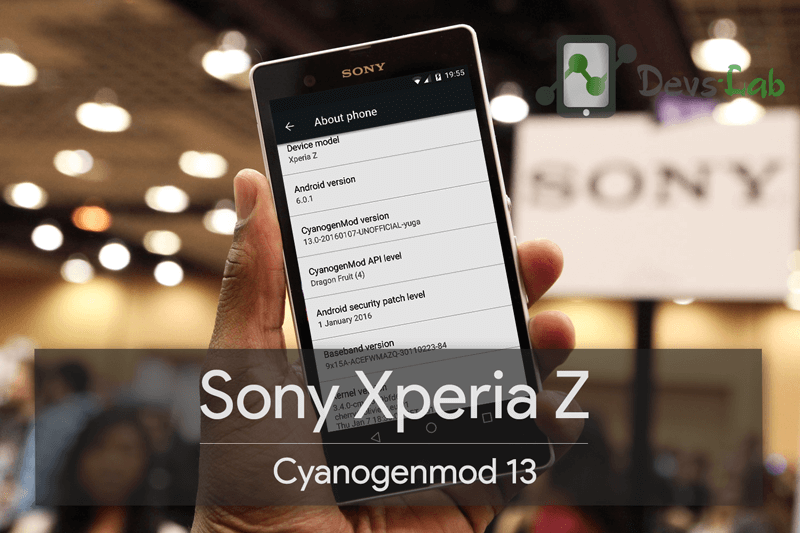 So, bottom line, by using this dedicated tutorial you can now learn how to install Cyanogenmod 13 (CM13) in your Sony Xperia Z. Rooted Sony Xperia Z with custom recovery like TWRP, CWM, Philiz etc. Sony Xperia Z charged upto 50% to avoid shutdown during the flashing process. Note: Devs-Lab won’t be held responsible for anything happening to your device during this process as you have decided to make this modifications. If you are new to Rooting, you must refer to Complete guide about Rooting. After this process, your warranty will be void & in most cases, you can’t get it back. Switch off your device, Press and hold Volup + Power button simultaneously. Leave the keys after 5 secs. 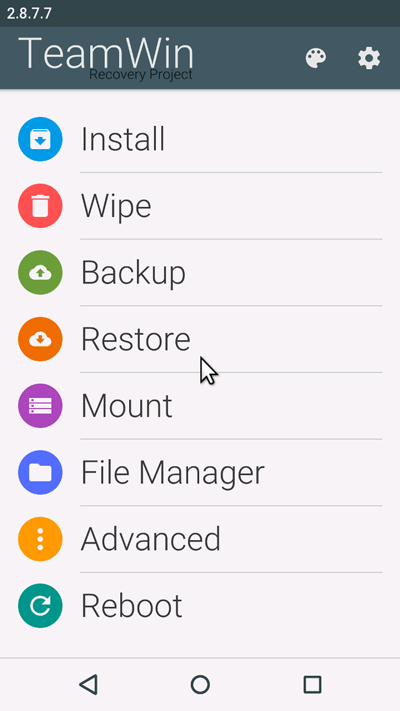 Step 3: Once you have rooted into recovery mode, if you have not took a backup of your Stock ROM, Go to “Backup & Restore” and select System, data. 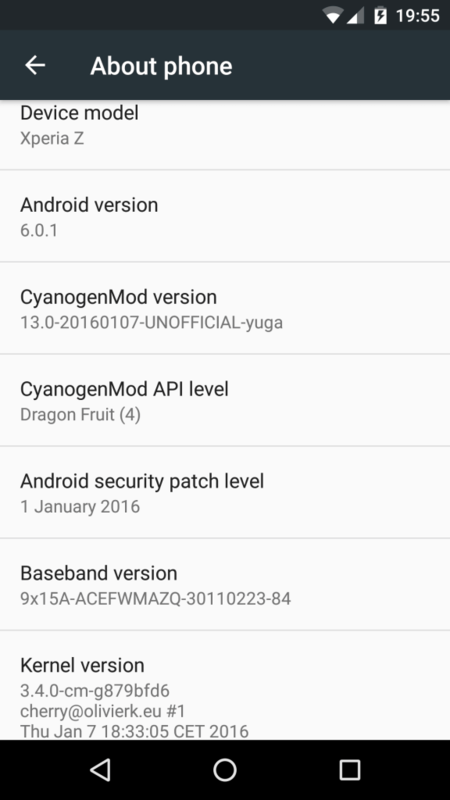 Step 4: Now its time to flash CyanogenMod 13 Marshmallow ROM. But before doing that, go to Wipe (in TWRP Recovery) & select cache, system, data dalvik cache. Swipe to confirm wiping. Step 5: Go to main menu & click on Install & select the CM 13 ROM for Xperia Z zip from the explorer. Swipe to confirm flashing. This might take around 3-4 mins. Step 6: Once you have completed flashing the ROM, flash the GApps package by going into Install and locate the GApps zip file. Swipe to confirm & you’re done. Step 7: First boot might take sometime so don’t panic! Camera not working. To use Google’s Now on Tap feature, install micro package to avoid FCs. Please don’t try dirty flashing as it might lead to tones of FCs and instability. Till then, enjoy CyanogenMod 13.0 in Sony Xperia Z. You can report the bugs to the developer. Let us know about any bugs that you came across.